Merieke Ri Berit doesn't untap during your untap step. 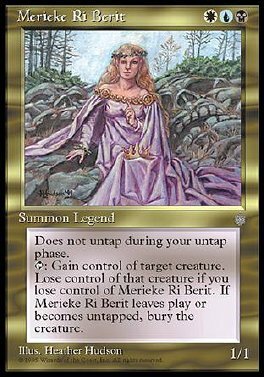 T Gain control of target creature as long as you control Merieke Ri Berit. When Merieke Ri Berit leaves play or becomes untapped, destroy that creature. It can't be regenerated.